A good toy is not an disposable article. Vision and touching - optics and haptics - shape the child’s mind. The Norbert Verneuer production is founded on three principles. The love for games, toys and for wood (as a material) is the personal basis of Norbert Verneuer's work. Living in the countryside close to nature ourselves, discovering nature’s treasures and knowing of its endangerment constitute our working principle: natural-organic-ecological. Since wood as a material possesses unique haptics, it can be discovered by children playfully and in an unspoilt way. The feeling of warmth, the solidity and the smell of wood address the child’s senses. 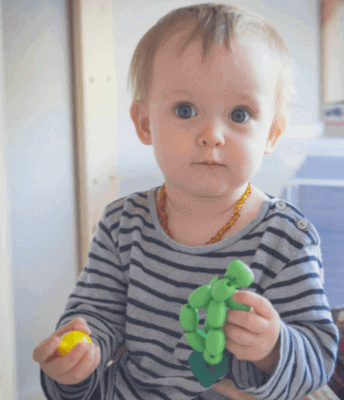 As Verneuer works with certified natural materials only, children can also explore the toy orally. Wood is a renewable resource which, at the end of its usage time, returns to the natural cycle and does not burden our ecological system. The entire Norbert Verneuer manufacturing process is committed to this principle. Wood requires a shaping, which in the light of this principle impacts the co-education of the child’s play pedagogically and balances it at the same time as it exudes a peacefulness and aesthetic appearance. The production of Norbert Verneuer wooden toys is work-intensive and requires knowledge and attention to detail. This makes the products valuable. A wooden dollhouse or a farmstead are gifts for life which can be passed on through many generations. A person who purchases wooden toys does not only value the product but values especially the presenter. In contrast to accuracy to the smallest detail with the focus on the end product being as close to reality as possible, Norbert Verneuer deliberately decided to give their toys a more simple and modest shape which leaves space for the children’s fantasy and allows creative playing in different development phases. Wooden Dollhouse - A dollhouse offers the possibility of re-enacting the many facets of everyday family life in role plays. We introduce four models with equipment options to you. 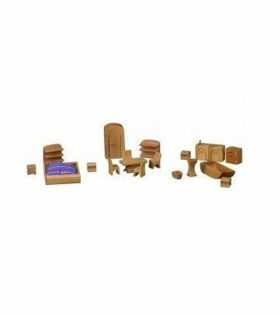 Wooden Doll's Furniture - For a fanciful play, the doll’s mom needs doll’s beds, doll’s wardrobes and doll’s seating furniture. We offer a wide selection of variations and different wood types. Wooden Farmstead - The co-existence of humans and animals on a farm is an important topic for many children. Norbert Verneuer developed a farm building with matching accessories which can be played with all-around. Wooden Play Kitchen - We produce an extensive series of play kitchens in different sizes and wood types. Wooden Play Frame - Norbert Verneuer’s newly modified play frame with several possibilities of variations. Wooden Active and Motoric Toys - Norbert Verneuer designed baby walker carts which support the important development phase of learning how to walk and ensure safety in that phase.